Realization of a soundscape for an audio/visual wooden installation. 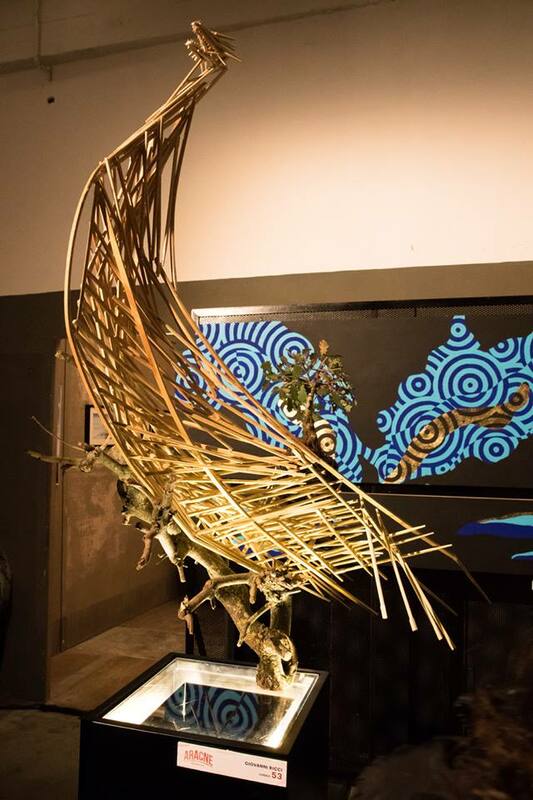 This work represents an ancient Drakkar, made of chinese chopsticks and a Bonsai tree. Inside the ship it is hidden a sound diffusion system that reproduces a composed 7 minutes audio track. The composed track wants to convey the idea of a natural and historical soundscape presenting sounds of ocean waves, wind, creaking of wood, and a heavily reverberated gregorian choir chant. This chant is an element that recalls the strong christianization of Norway during the kingdom of Olaf I, first king of Norway. The music is difused from under the bonsai to give the illusion of the tree singing. 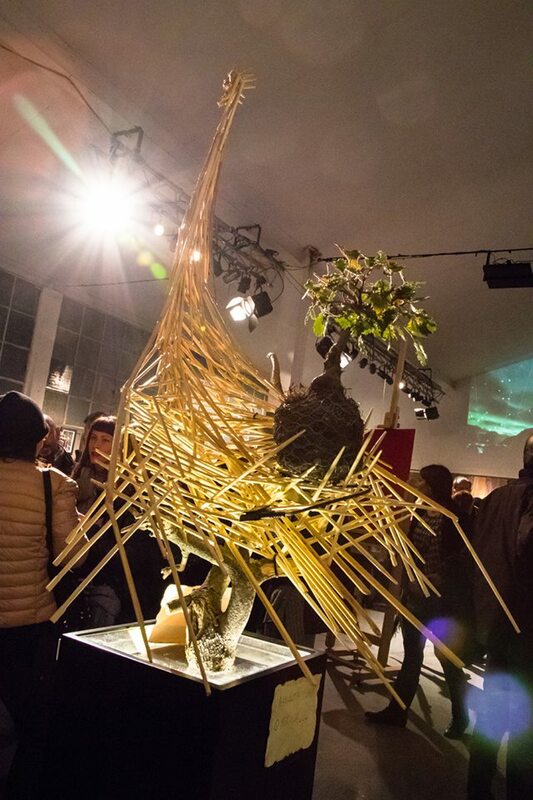 The sound coming from the bonsai and its enlightenment are reactive on the presence and the proximity of the viewer, to temp the onlookers to get closer to the sculpture in order to have a better visual and sonic experience. Behind the sculpture a dedicated picture has been made by a collaborator, that helps directing the focus towards the bonsai element, and suggesting an expansion of imaginary roots in a virtual space.